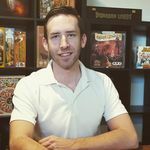 Board game designer and software engineer from Calgary, Alberta, Canada. Member of the Game Artisans of Canada. Logistics and development for Roxley Games.